I thought it all through before I started - chose the picture I wanted to scrap, thought about the story I wanted to tell, chose appropriate embellies to ensure that I had the Evidence covered. The colours were perfect for this photo and my intention was to punctuate the journaling with tiny buttons. I honestly can't believe that I've only just realised my mistake! Never mind - what a doofer! What a wonderful sketch, which I will definitely use again - thanks Ulrika! There's a fabulous prize for this challenge too, sponsored by 13Arts - so why not give it a go yourself? Check out this post for details and DT inspiration. So, apart from the epic fail on the journaling, did I follow all the clues??? Evidence: flowers, wood; buttons; scallops; eyelets. Journaling: this is written all around the edges, framing the page (for every full stop, imagine a tiny button), " I do NOT want to go to the Clown Festival . I am NOT cute . I am NOT smiling on the inside . I am NOT a baby I am six . I am NOT having fun . I am NOT having a good day . I will NOT enjoy myself once we get into it . I do NOT want you to take my picture . I do NOT want my friends to see me . I do NOT need to hold your hand . I do NOT want to be here . Richard 1988 ." Firstly, I created an interesting background on the white cardstock, by using mists and scribbling with acrylic paint - the paint acts as a resist with the mist. Then I pulled out some patterned paper scraps and layered them up to make a fun background for the photo. Distressing, doodling and stapling added definition to the patterned paper pieces. One of the scraps has a scalloped edge. The Papermania flower was finished with a vintage button tied with twine; there's a flower brad I've had for years, threaded with ribbon; assorted eyelets; Studio Calico wood veneer stars and a heart, which I've coloured with acrylic paint and Distress Ink. 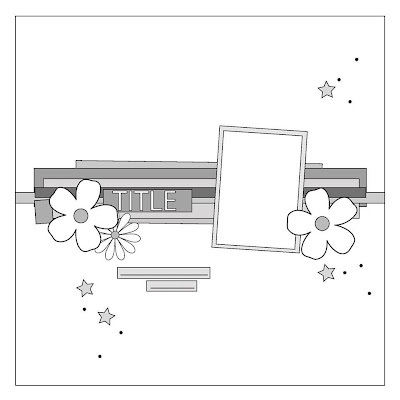 The title was made with some AC Thickers called Boardwalk and the subtitle was Glitz Teeny Alpha Stickers. OOOPS! I often do that with the case files...cos i get into ' the zone' & then forget what I have to include!!! Regardless, it's a fab intrpretation.....be interesting to get your boy to tell you what he actually thought of the clown day, & to pop THAT on the back of your page!!! Poor thing....almost as bad as being picked up in a Dung coloured Old car......my son would say!!! 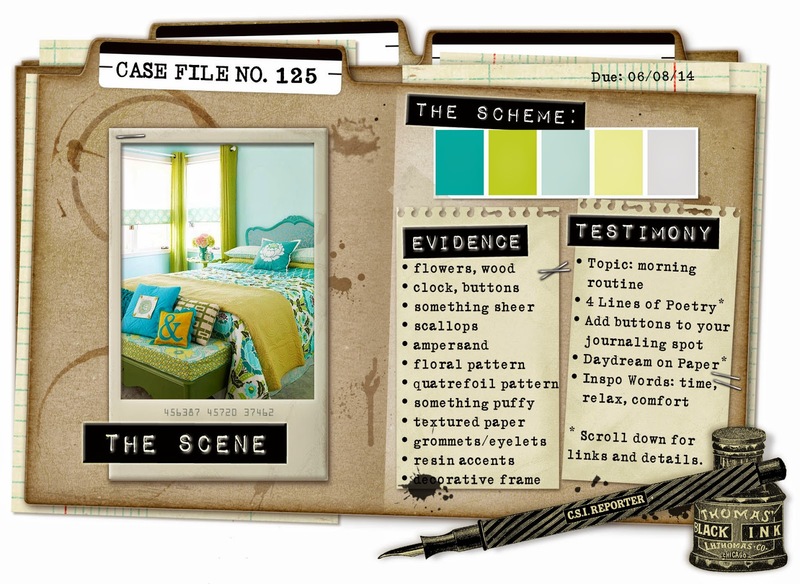 This is a fabulous layout and I love the journalling. He doesn't look like a happy bunny. What is it with you and clowns... You have had a couple of clown layouts of late. I always have a giggle when people say how freaked out they get about clowns. I love them. I did a clown theme in my DD's nursery @@ everyone said she would be scared to death :D Anyhoo... love this layout Annie. Oh I love it. Fabulous photo and love your use of the sketch and the colours. Thanks for joining us at Scrap365.